Whilst the vastness of space can not be underestimated, as I wrote about yesterday, there is still a lot for us to see out there. If we are to take a blind stab in the dark as to how many stars there are out there we end up with numbers in the ranges of 1024 or 1 000 000 000 000 000 000 000 000 (1 septillion) give or take a few hundred billion. Now consider how many of those stars would have planets or solar systems around them. This is where we start to imagine what that big number means for life in the universe. Before we delve into the wonderful world of potential alien species I want to take you back to 1992. Before this day we could only speculate about solar systems outside our own. For us it would appear obvious that other stars out there had planet systems like our own considering the sheer number of potential stars out there. Even if the chance of generating a system like ours was a 1 in 1 trillion chance there would still be a million of them around. However we’d never actually proved that there were any planets outside our solar system, that was until Aleksander Wolszczan and Dale Frail discovered PSR B1257+12B (romantic I know) the first ever planet to be detected outside our solar system. It was a brilliant discovery at the time as up until then claiming the discovery of a planet was at the very edge of our capability. Several years later with improvements in technology and detection methods many more were discovered, with 358 being totalled to date. Out of these 74 of them belong to multiple star systems, or approximately 20% of the observations so far. It’s a long stretch to say that 20% of all stars are hosts to multiple planet systems but we could assume 50% (to be generous) or greater are capable of hosting 1 or more planets. This leaves us with approximately 1 trillion potential candidates for planet formation in the universe with 20% of those having multiple chances. If this is sounding familiar to you then you already know I’m describing the drake equation, which attempts to predict the number of civilisations that we might be able to make contact with. So far the most common result of that equation is around 10, meaning just within our own galaxy there are 10 other species we would be capable of making contact with. Slight tweaks of the variables either way swing it wildly, and shows just how little we know for certain when it comes to estimating things like this. The other side of this is the Fermi paradox which stipulates that despite the evidence to the contrary we haven’t actually managed to find signs of life through either contact or observation. 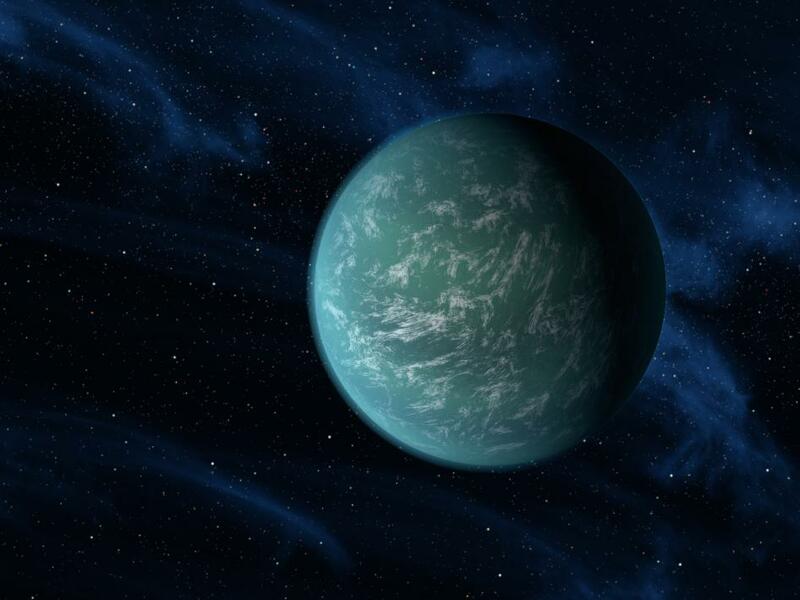 Even our current list of exoplanets doesn’t have one on it that would be capable of supporting life as we know it (although that’s due to selection bias of the methods more than anything else). As the old saying goes absence of evidence is not evidence of absence, so we’re stuck at this point until we find some new data that points us in the right direction. More interestingly is the potential for life within our own solar system. Take a look at Mars and Venus, two very similar planets to Earth that have very different fates. Mars on the one hand was too small to hold onto whatever atmosphere it had at the beginning and the lack of a magnetic field left it to fall prey to the solar winds. 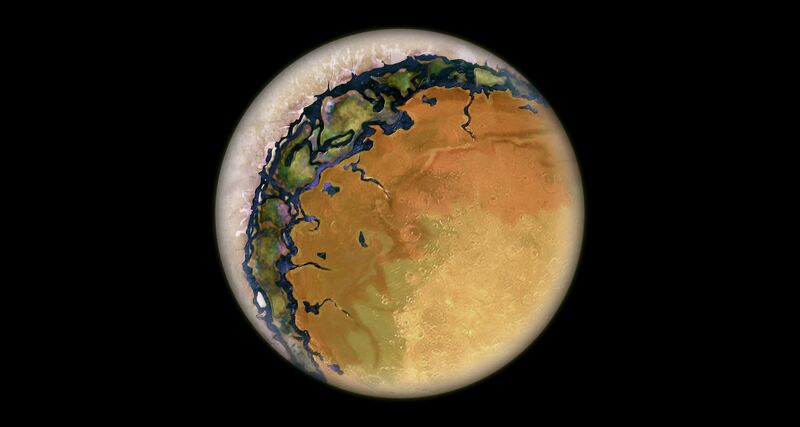 However studies have shown that Mars was once home to vast oceans and as such would have had most of the ingredients for supporting life. Since we haven’t found any signs of life yet it’s possible that there was something missing, and as such life never progressed. It is also possible that life died out as the planet’s protective barriers were withered away, but we’ll need to find something like a fossil before that’s even a possible past for Mars. Venus on the other hand is something of a warning as to what can happen to a planet when it suffers from a runaway greenhouse effect. As far as we can tell Venus was very similar to Earth when they both first formed however strong volcanic activity has turned the planet into a hothouse, smothering it in clouds of sulphur and carbon dioxide. This has lead to a surface temperature above 400 degrees putting the chances of life there squarely at 0. This effect also stops us from making extended observations on Venus, so the possibility of it supporting life in the past is hard even to estimate. Curiously as well Venus has what we call a retrograde rotation, meaning that it spins in the opposite direction to every other planet in the solar system. As to why this happened we’re still not sure (and it seems the astrology cranks love harping on about it) although the best guess seems to be a combination of tidal locking forces and solar heating of Venus’ atmosphere. Taking all of this into consideration you really get a feel for how unique and fragile life is. However, as our planet has shown, the conditions are right millions of different forms of life can prosper. I can not wait for the day when we discover another planet capable of supporting life and I hope that it’s not too far away.